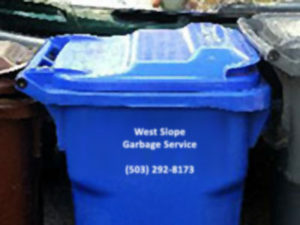 West Slope Garbage Service offers three main forms of recycling: Co-Mingled Recycling (blue cart), Glass Recycling (red bin), and Yard Debris (green cart). 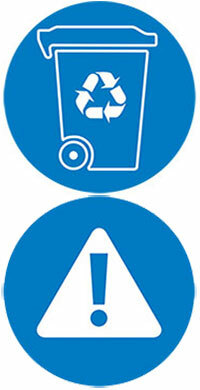 All recycle bins need to be placed curbside on your pick-up day. Preparation instructions are provided below. 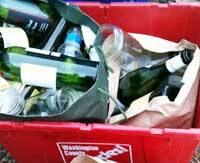 Glass bottles and jars can be recycled in your red bin. Do not place the glass items in a bag. All glass should be loose inside your red bin. 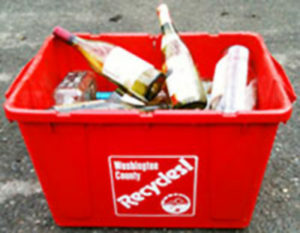 Please remember that no broken glass or drinking glasses are recyclable. All customers have the opportunity to recycle yard debris. 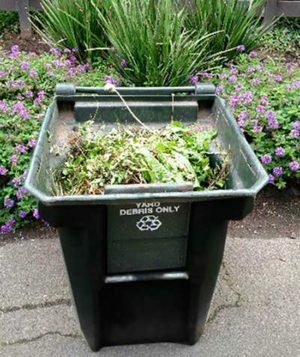 Please only place yard trimmings out of your yard -such as grass, leaves and twigs- in the receptacle. No garbage, glass or plastic can be placed in the green bin. If you need to recycle extra yard debris, we can pick up those extras for a fee. Please use a 32 gallon garbage can or Kraft bag to dispose of extras. No plastic bags. The limit in your 60 gallon yard debris cart is 120 lbs. If your cart is too heavy, and can not be lifted with the truck’s mechanical arm, then it will be left for the customer to unload to the legal weight. You can mix different types of recycling in your blue bin. The co-mingled cart can hold: Paper products, plastic bottles and tubs, tin and metal cans. For more recycling rules and information, you can view yard debris and recycling prep information online. 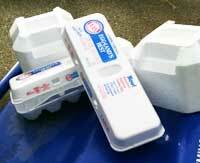 Styrofoam - All styrofoam materials INCLUDING egg cartons and packing material. 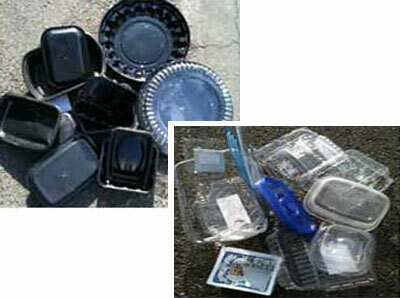 Clam Shell Plastic - Includes food containers, party platters. Only bottles and tubs can be recycled. 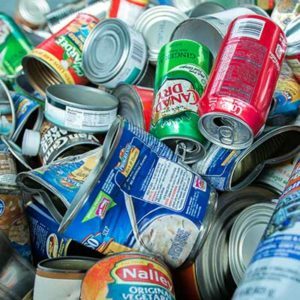 Waxed Cardboard - Waxed boxes, milk cartons, and dog food bags are not recyclable. Please place these items in your trash bin. Glass - NO glass in the co-mingling bin. 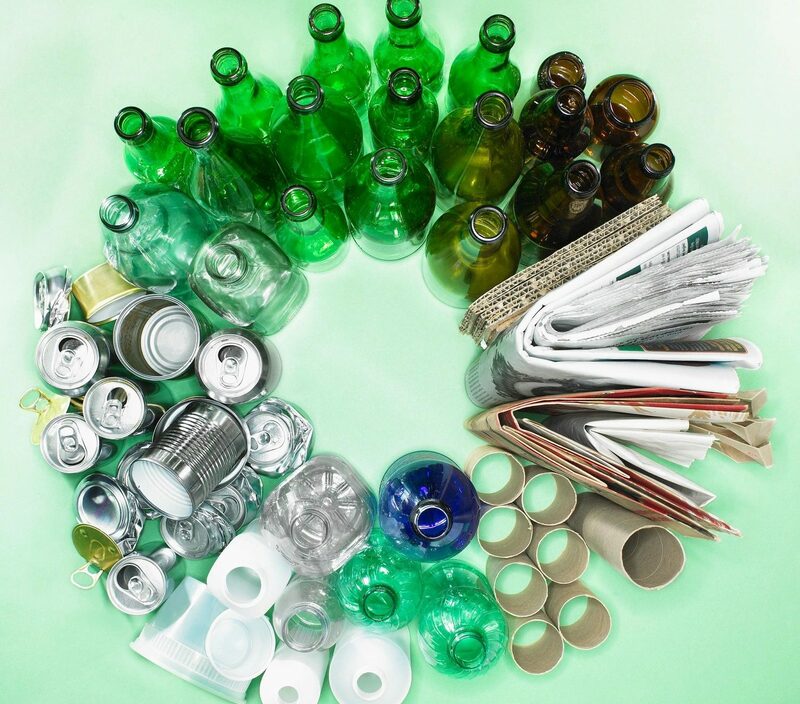 Glass must be kept separate from all other recyclable materials. For instructions on hazardous household waste disposal preparation (prepared by homeowner), where to recycle or how to safely dispose of hazardous waste, visit this page. Overview of garbage and recycling services in Washington County.